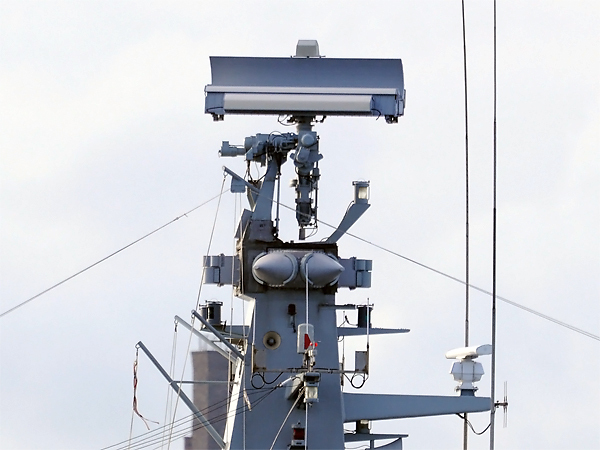 The AWS-6 is a 2D medium to short range multipurpose naval surveillance radar, operating in G-Band. The AWS-6 is suitable for fitting in ships of 400 tons displacement and over. It is optimised for an anti-missile task. 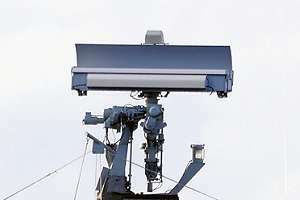 The radar is also available in containerized form, and a coastal surveillance version is available. Its transmitter uses a traveling wave tube (TWT) and features pulse compression within pulse coding. AWS-6D is a 3-D stacked beam on receive only derivative of the original AWS-6. In long-range mode, it concentrates all its energy into the lower beam; at short ranges the beam coverage reaches up to 70 degrees. It was introduced in 1991. AWS-6E is a simplified two-beam version of AWS-6D introduced in 1993. Between four and 30 degrees it measures elevation to within one degree by measuring difference in returns from the two beams. Above 30 degrees and below four degrees it functions as a 2-D radar.